Many people might cite the 1960’s as a decade that prominently featured proponents of peace (and with it, protest of war), love, and vast experimentation with drug use and abuse. Some might also recollect the emergence of one of the United States’ most notorious criminals in history, Charles Manson. 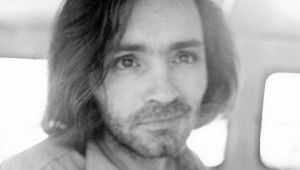 Born in 1934 as Charles Milles Maddox, Manson was deeply influenced by the shifting culture of the 1960’s following several stints that landed him back and forth between prison sentences. Some may attribute this in part to his less-than-stable childhood, having been born by Kathleen Maddox (a prostitute who suffered from alcohol abuse) and William Manson. Following a failed marriage between the two, young Charles was sent to a boys’ school before attempting to return to his mother. Failing in this, Manson lived on the streets which would later turn into prison sentences for petty crimes – he would later end up being imprisoned for half of the first 32 years of his life. From 1958 to 1967, Manson served a 10-year sentence at McNeil Island prison, whereupon he began to gather followers later known as the Manson Family cult. Upon his release in 1967, the Family would eventually move to San Fernando Valley, where they would later become one of the most infamous cults in history. It was around this time that Manson began making claims that he was Jesus Christ and prophesying a race war, bringing more followers to his cause. Manson would spend the rest of his life incarcerated at Corcoran State Prison in California from 1971 until shortly before his death in 2017, when he had been transferred to a hospital in Bakersfield. During that period, he had been denied parole a total of 12 times. Manson would eventually die on November 19th of natural causes at the age of 83; a coroner would later confirm that Manson had suffered primarily from acute cardiac arrest, although other listed causes of death included respiratory failure as well as Manson’s long-standing battle with colon cancer. Previous Previous post: O.J. Simpson is Out of Prison. Where is He Now?